Deputy Senate President Ike Ekweremadu yesterday relived how he escaped an assassination attempt, declaring that no one was safe in the country. “Nobody is safe in this country. I want to appeal to my colleagues and the general public that we all continue to be prayerful and conscious of our private security. It appears that security is not in the hands of government but the Almighty God,” Ekweremadu told senators at the Red Chamber. Ekweremadu, however, expressed displeasure at the immediate response by the police. “We handed that one over to the police investigating the matter. The annoying aspect or the one that is worrisome is that at that point, I called the Inspector General of Police. His phone was (switched) off. I called some of his aides. Their phones rang out. Nobody replied, till now. I called DIG Operations. Till I left my house, nobody showed up. 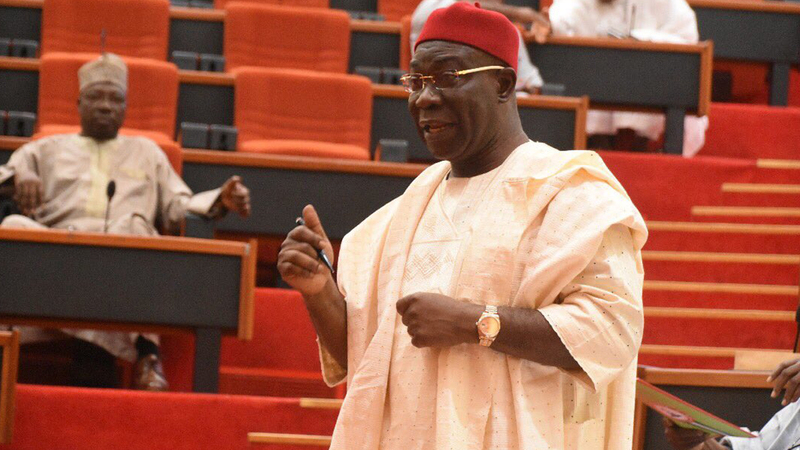 Though Ekweremadu was optimistic the police would be “on top of the matter shortly,” the Senate went ahead and directed the committee on police affairs to investigate the alleged poor response by the operatives. The chamber also warned the police against partisanship, saying this could provoke grave national consequences. “It is unfortunate having this security situation in Abuja, Senate President Bukola Saraki said while ruling on the motion. “I hope the police are not being partisan with the way they treat cases. You are the deputy senate president. And (if) at your level, you did not get response over seven hours, I think it is very unfortunate,” he added. Earlier yesterday, Ekweremadu’s media adviser, Uche Anichukwu, released a statement on the incident. It reads in part: “The attackers, who could not immediately shoot, in order not to attract the attention of the security personnel on duty, took hold of his son, and commanded him to lead them to the senator’s bedroom. “The arrested member of the gang has however refused to divulge any information on the operation and has been handed over to the police. Ekweremadu, his wife, and one of his sons were in the house at the time of the attack. But police spokesman, Jimoh Moshood, in a statement yesterday night said preliminary investigation revealed not an assassination attempt but a case of burglary. He however added that investigation was still ongoing to determine if there was any other motive behind the offence. “The same suspects had earlier at about 0300Hrs broken into the residence of one Mr. Haliru Adamu of No. 38 Denis Osadebey Crescent, APO Legislative quarters where they stole phones, jewelleries and other valuables before proceeding to the residence of the deputy senate president. Meanwhile, a pro-democracy and non-governmental organisation, Human Rights Writers Association of Nigeria (HURIWA) warned against “targeted violence” on notable political opposition figures, especially as the general election nears. In a statement by its national coordinator, Comrade Emmanuel Onwubiko, in Abuja, HURIWA said: “This attempt to kill one of the most vocal critics of the administration with just three months to election must not be swept under the carpet of impunity like dozens of other unresolved but heinous crimes in the last three years. Nigerians must mount pressure on heads of armed security forces to discharge their duties or be dismissed. Also, Speaker of the House of Representatives Yakubu Dogara called on security agencies to be “alive to their responsibility of securing the life and property of Nigerians.” In a statement by his media aide, Turaki Hassan, he urged operatives to prevent acts that could spread panic among citizens. In another development, the Senate announced the receipt of the 2019-2021 Medium Term Expenditure Framework (MTEF) and Fiscal Strategy Paper (FSP) sent to it by Buhari. In a letter addressed to the Senate president, Buhari called for quick consideration and approval of the document.